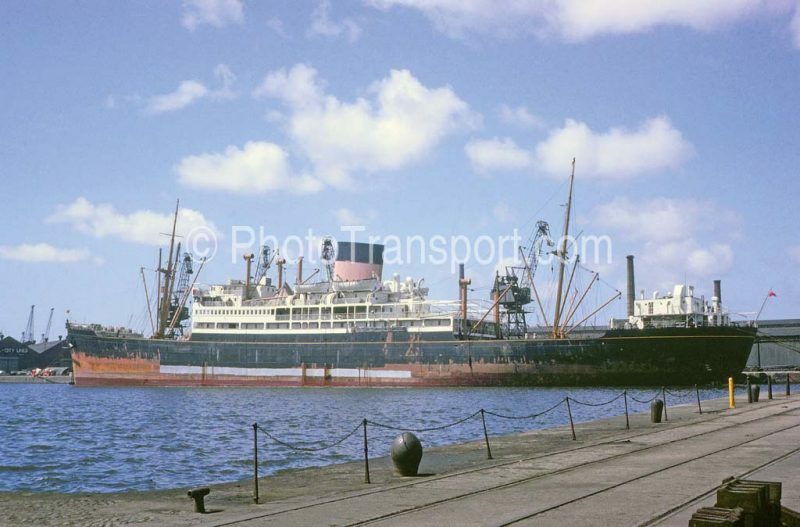 The Fairfield yard on the Clyde at Govan produced these two very similar passenger and cargo-liners in 1948/49. 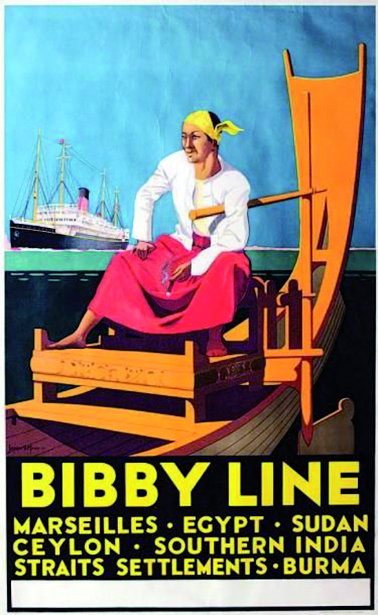 Bibby Line was famous for its four masted passenger and cargo-liners, but in this new pair the passenger accommodation was drastically reduced to 76 First Class passengers. A political delegation from Burma had gone to London in early 1947 to obtain a promise of independence for the proud Burmese races and people, and Yangon (Rangoon) became the capital of the Union of Burma on 4th January 1948 when the country regained its independence from the British Empire, a very much cherished ambition. The first Leicestershire was completed in 1909 of 8,059 grt with good accommodation for 229 First Class passengers, and the first Warwickshire was completed in 1902 of 7,975 grt with good accommodation for 203 First Class passengers. The pair under review here were the second of these names in the Bibby Line fleet.